INGLOT Pro nail artists Team collaborated with the iconic manicurist, Naomi Yasuda for the eighth time to create a bold nail art for KENZO's Homme & Femme show, held January 20th. 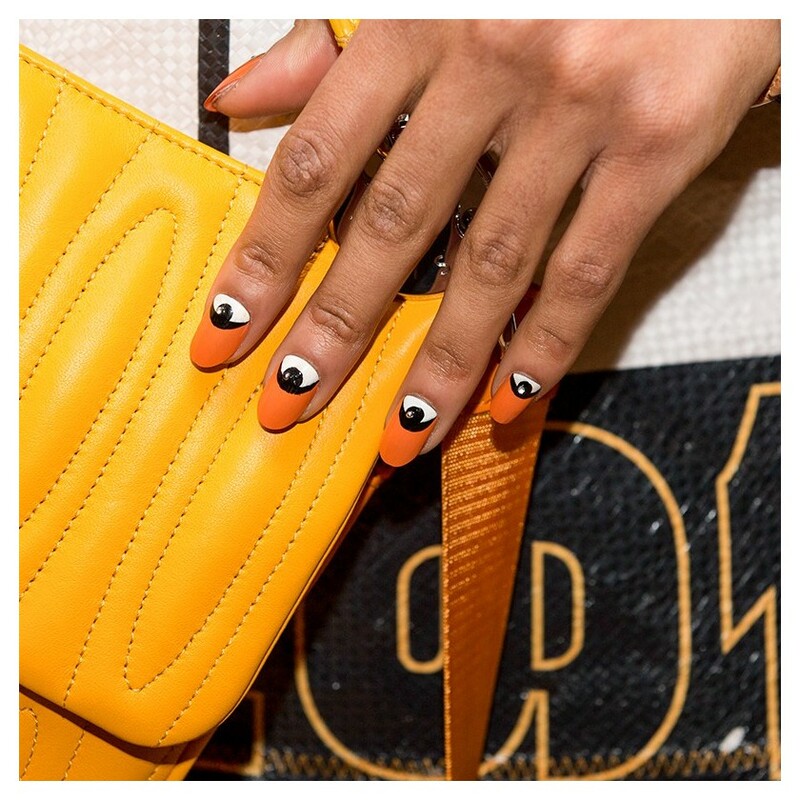 This time, Naomi decided to create the nail art with well known KENZO's all-seeing eye inspired manicure. This unusual symbol taken from the Asian culture has been the hallmark of KENZO and now, after a few years of absence, it returns and appears in an extremely colourful collection inspired by the Chinese migration to Peru. The base was created using pink, blue, orange or yellow nail enamels from INGLOT collections. The black and white accents were added on top to recreate the all-seeing eye symbol. A perfect complement to the unique manicure were Swarovski Crystalpixie Crystals. The all-seeing eye is the symbol KENZO have been using since a few years. Absent for several seasons, it comes back now. The designers, Humberto Leon and Carol Lim, decided to use the Homme & Femme show to bring back the motif as well as suggest a retrospective mood and to highlight that the iconic eye stamps with KENZO's inimitable style. How to recreate the KENZO's all-seeing eye inspired makeup? Put two layers of nail enamel in your favourite colour choosing from shades in 685, 423, 425 or 307. Paint a half-circle shape on the base layer of your nail art. Paint a black outline around the white circle using the white nail enamel in 691. Paint a black circle in the middle of white surface. 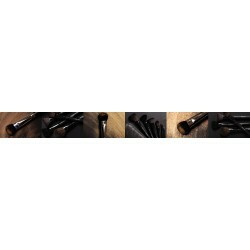 Apply the Swarovski Crystalpixie Crystals Bubble City Chic in the middle of black circles to make an eye pop. Use the Iconic Gel Top Coat to make the manicure last for ages.